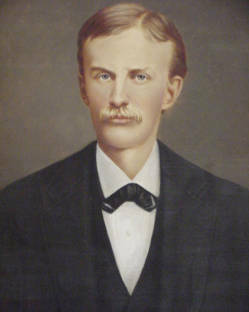 Biography & Genealogy: Samuel Travers Phillips, Class of 1867: New Market Cadet; Private, Co. B. Genealogy: Born- March 14, 1847, in Urbana, Md. Father- Rev. Richard Henry Phillips, D.D. ; Mother- Eleanor Thom. Pat. Grandfather- Captain Samuel Phillips; Pat. Grandmother- Sarah (last name unknown). Mat. Grandfather- Reuben Thom; Mat. Grandmother- Eleanor ( last name unknown). Never married, no children. Career: Lawyer. Died- September 27, 1877.